Former FBI Director James Comey, whose firing became one of the most important stories of 2017, said goodbye to the year with a parting shot at his old boss. “Here's hoping 2018 brings more ethical leadership, focused on the truth and lasting values. Happy New Year, everybody,” he posted on Twitter Sunday evening. 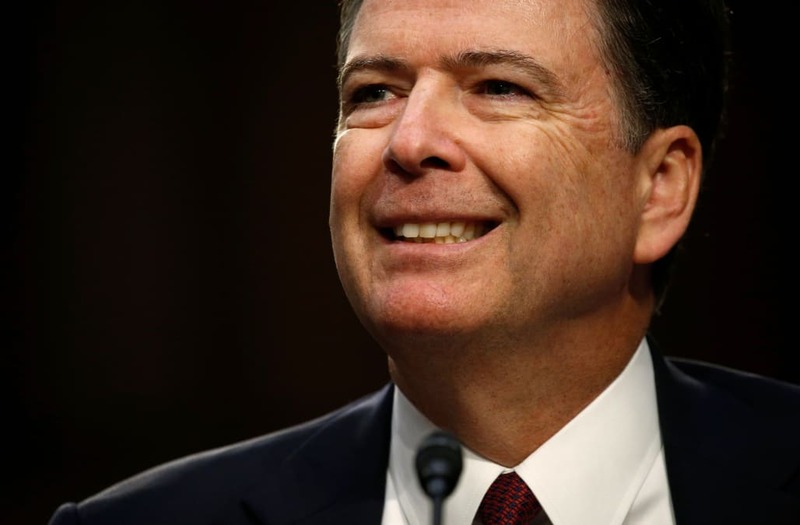 Comey was fired in May, and testified in June that President Trump asked for his loyalty and had told him to go easy on disgraced National Security Adviser Michael Flynn in the FBI’s investigation into alleged Russian election meddling. The President, who could conceivably face obstruction of justice charges for such actions, has denied ever doing so. While Comey did not mention Trump directly in his end of the year missive, the tweet follows in a series of messages where the lawman comments on current affairs without naming names. After Flynn pleaded guilty to lying to FBI investigators about his contacts with Russia, many people saw a tweet with a Bible verse as Comey’s comment on the comeuppance. “But let justice roll down like waters and righteousness like an ever-flowing stream' Amos 5:24,” he said alongside a picture of rapids. Beyond tweeting, Comey, a longtime Republican, is also getting ready for the release of his book “Higher Loyalty” this spring.